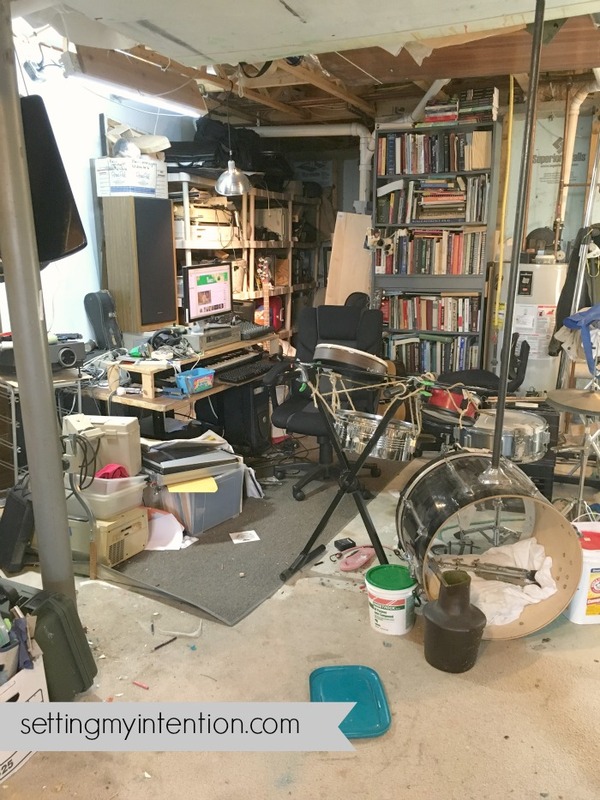 About six months ago my husband initiated “The Great Decluttering” of our basement – a space I have referred to as our “Area of Secret Shame”. Our area of shame may be bigger or smaller than yours. 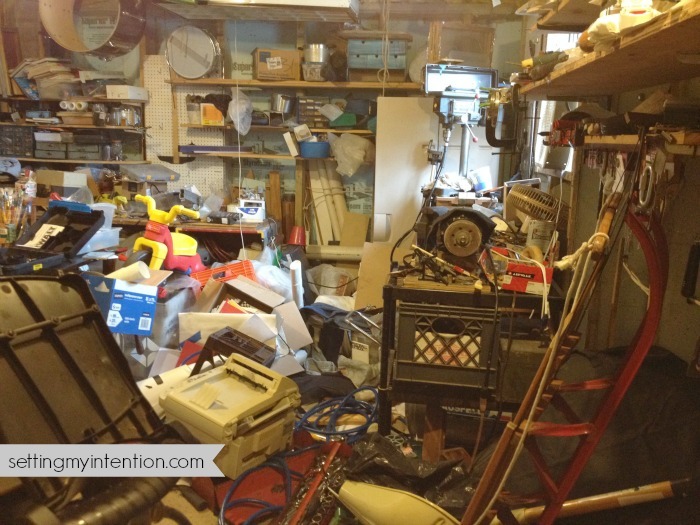 Our hope is that displaying this messy process will encourage you to start or continue tackling your “BIG” decluttering project. 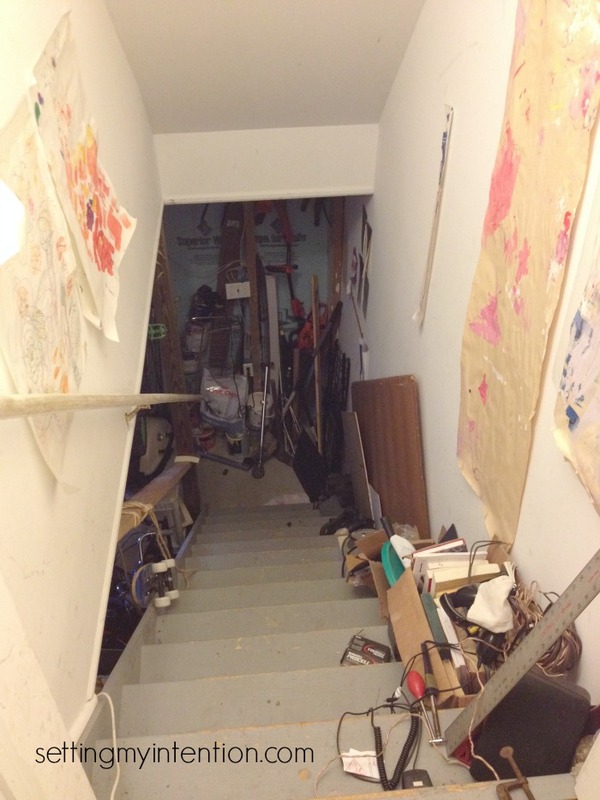 As we begin 2016, we wanted to give a basement clutter tour that documents how far we’ve come, and where we are currently. You’re fooling yourself when you think this object is necessary in order for you to do whatever it is you want to do. You’re fooling yourself when you define yourself by the things you do. You’re fooling yourself when you don’t throw anything away. He still sees the value in objects, but he’s come to a place where he doesn’t need to hold onto them. The greater value is in having an open space that is functional. 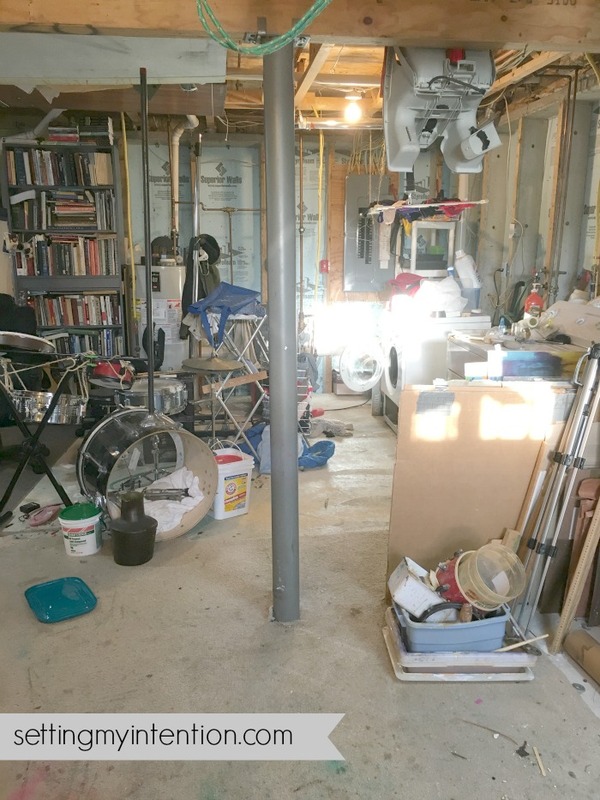 A lot of the clutter that is down in our basement is a result of lack of planning, lack of intentional use of the space, and using the basement as our dumping ground and storage area. We’re making progress in changing our ways. I love the home tours that are all over the internet. The homes are usually so beautiful. They are homes I would love to live in…but it’s not my reality. I’m using the word “tour” here to showcase another reality that I know I’m not alone in. 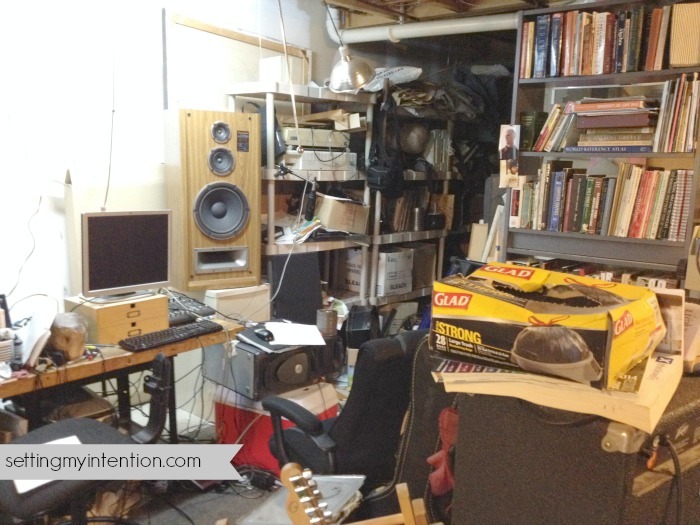 Someday, our basement will be in a state where we can take the word “clutter” out, but for now it’s still in process. We are striving for progress, not perfection. We started by keeping our stairs clutter free. This has helped us in the other areas of our home. Keeping one small space clutter free encourages a daily habit of maintaining that space – which spreads to other areas. This worked for us in our kitchen. The biggest difference came after our initial sweep of garbage and recycling. It’s been slower progress since then, but definite progress. I’ve seen a change in my husband’s attitude towards “stuff”, for which I am so grateful. Even when I have decluttering fatigue, he continues to make strides alone downstairs. 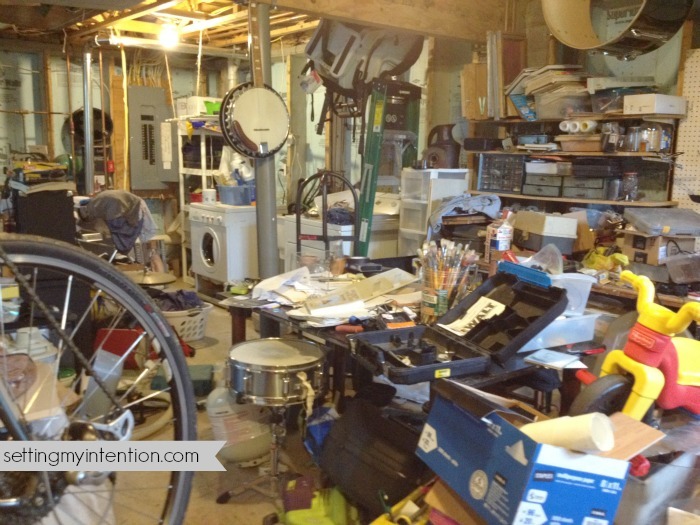 Do you have a large decluttering project you’re working on? How is it going? WOW! Angela! Great job! I can see floor and walls now! Nice!! Yes Melinda! It is an improvement isn’t it! ? That first sweep and even the second are the most satisfying I think, when you can really get rid of the junky broken rubbishy stuff. It does get harder after that. I’ve found a bit of a break sometimes helps simply because I’ve had time to come to terms with some of the things I stumbled across during the first sweep making it easier to say good bye later. I’m so impressed with your progress. I wish mine were as visual as yours. Thanks Stella. You’re right – the first big sweep was really fast because there was a lot of obvious garbage and recycling that could be taken out immediately. There’s still garbage, but now we’re down to things that are potentially useful but useful to us? Great Rebecca! I hope you’ll share your progress. 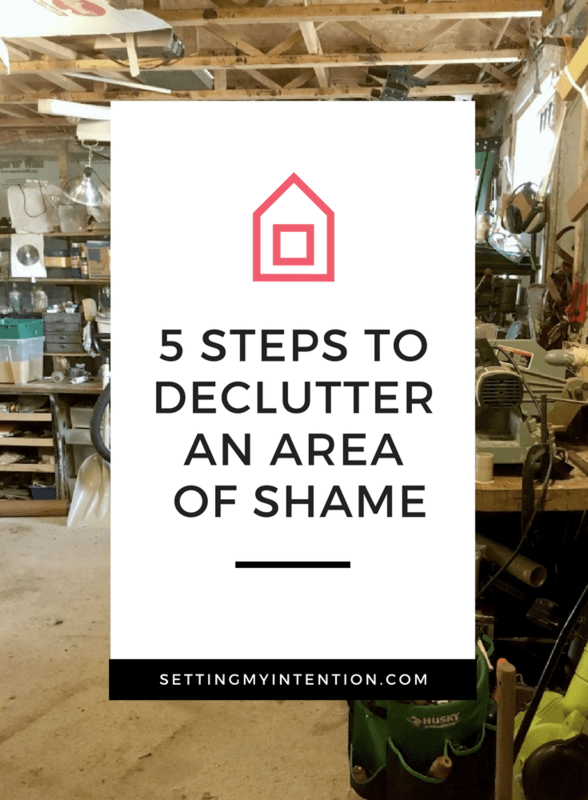 Clutter makes me feel defeated! 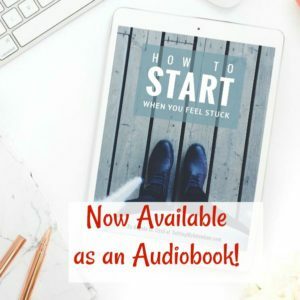 Yes, decluttering makes me feel empowered! I love this statement: He still sees the value in objects, but he’s come to a place where he doesn’t need to hold onto them. The greater value is in having an open space that is functional. Congratulations on this undertaking. I am reading your blog now, procrastinating on my kitchen declutter project! 🙂 Ok – off the computer now. Hi Cathy! 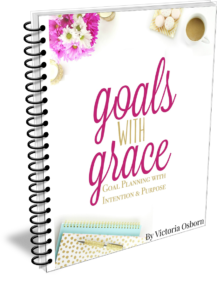 Thank you for dropping by and spending some time on the blog. I hope you were encouraged to tackle that kitchen decluttering project! “A lack of intentional use of space” really resounded with me. I need to discuss our bedroom clutter with my husband. That is not how we would assign the use of that space. I’m trying to keep our bedroom clutter free as well. It’s the easiest place to “hide” things temporarily when I need to clean up in a hurry, but I really want our bedroom to be a peaceful oasis. The first big clear out always seems easiest because you really can tell what should get donated. It’s when you go back and make those harder decisions when the process slows down – but you’ve made such great progress!! Thanks for the encouragement Alexandra! Our first big clear out (and many of the ones after) have been garbage and recycling – nothing worth donating! This is wonderful! You’ve cleared out so much space and now have room for the drum set. Great job! Thank you Lydia! Yes the drums are getting a lot of action…much to the chagrin of our neighbors! ? Wow what progress! 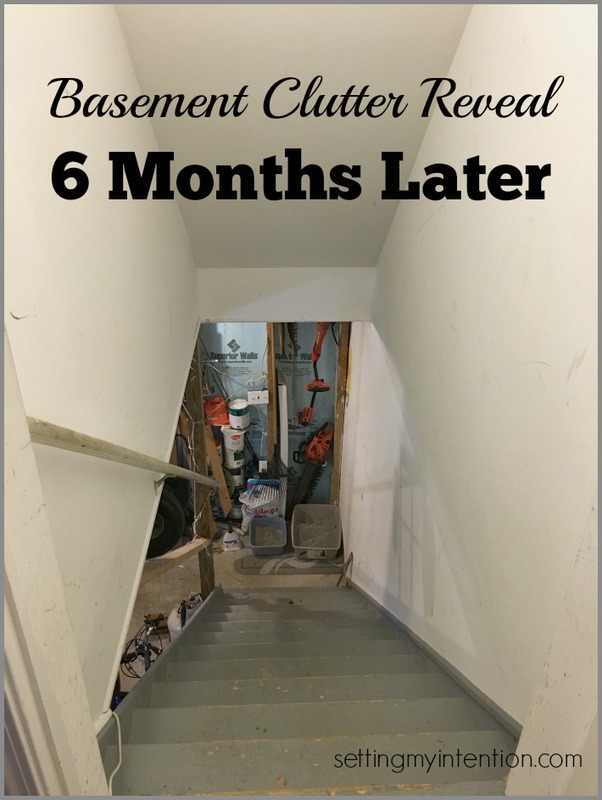 We just did a basement overhaul as well – it needed to be done. That area is the catch all of whatever we can’t keep in the living space, and it was building up just like yours. It felt so good for my husband and I to work together as a team (with music blasting of course!) to get rid of things we didn’t need, take reusable items to the Salvation Army, then we treated ourselves (well more him than me but that’s okay) by getting new carpeting and new furniture to make the finished part a great living space. Congrats on your success so far! It’s good to hear that another couple has finished the process and is on the other side – congratulations! You have made great progress so far! 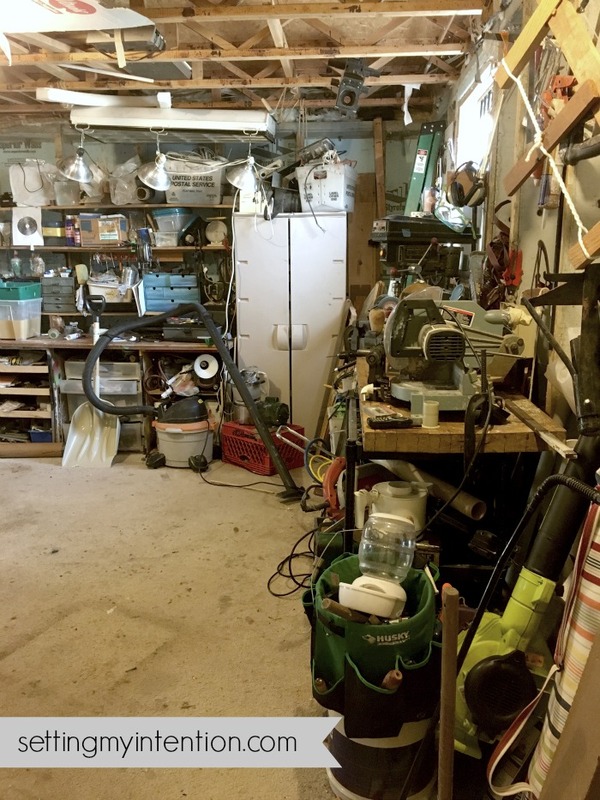 I know what you mean – when one area gets cleared it makes you want to clear more areas. Very inspiring! Nice work!! 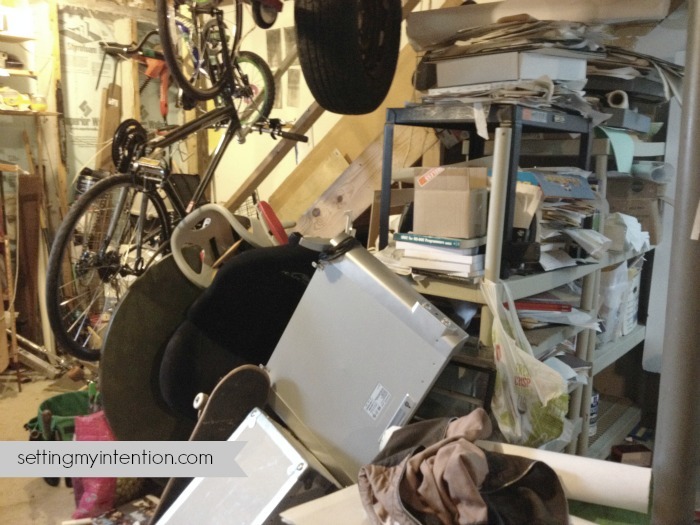 Its not easy to cut down on clutter or any possesions in your house! I’m just starting the KonMari tidying up process and its going to be challenging! Thanks Tina! I think the KonMari method is a great way to reduce possessions. Have fun with it! Wow, I can see that you’ve really made a lot of progress! We are in the process of decluttering our basement, as well. I’ve gone through most of my own stuff several times already, my husband is still working on his but it is so much better. I’ve found that multiple sweeps, a few months apart, really helps. Just this weekend, I cleared out two boxes of books that I “could not bear to part with” 4 months ago. I love what you said about keeping the stairs clear and how having that one clear spot is motivating to keep other areas clear. I find the converse is true as well: if I allow one piece of mail (or anything!) to remain on the kitchen island, it becomes the family dumping ground for any and every thing! Oh my gosh, Angela, I can’t believe the progress y’all have made! I love that your husband went from reluctant participant to willing declutterer. Wow, Angela, what great progress! I love that you focus on progress and not perfection. It’s so easy to get caught up in what we think something should be like and forget how far we’ve come. Keep up the good work! You’ve made amazing progress! I need to tackle some decluttering projects this year – especially in our bedroom closet. Thanks for sharing with Merry Monday last week! You and your husband are really figuring out this decluttering thing. It is so much more than throwing things away and getting organized. I know that I’ve really had to rethink “things” as I’ve worked on decluttering. My home feels so much lighter with every item that I am able to donate. Thank so much for sharing this over at Let’s Get Real. You are quite the inspiration. Thanks for your encouraging words Christina. It has definitely been a process of learning to let go, especially for my husband. Thank you SO much for sharing! I’m currently doing this with our house. I’m five weeks in and am motivated to keep going! Great job! Your welcome Holly. It sound like you’re doing a great job! Keep it up! Wow, you’ve been working hard and made quite an impact. 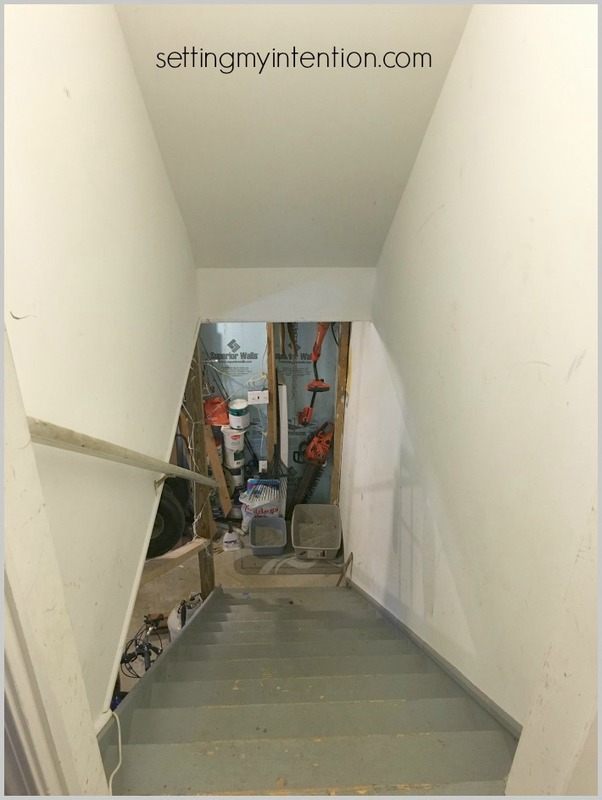 The clean stairs are the most important because that’s a safety issue. Congrats, you’re featured this week at the #ThisIsHowWeRoll Link Party at Organized 31. Great job! And so brave of you to post the pictures. 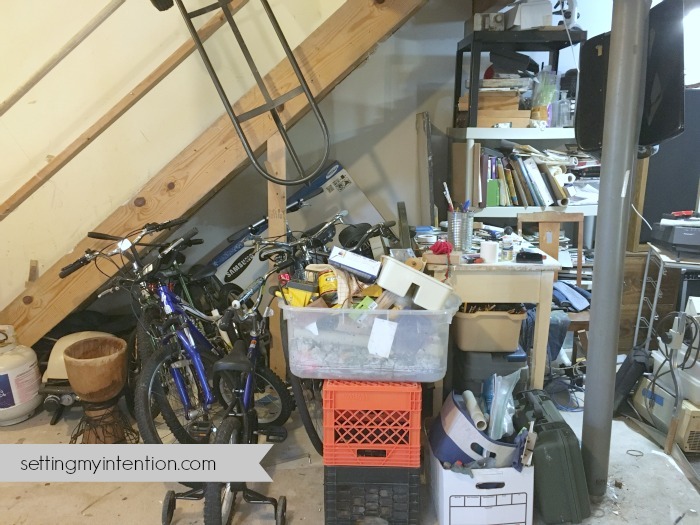 I talked about a decluttering project on my blog, but I wouldn’t add the pictures. I’m a coward. Congratulations! It was pretty hard the first we posted Amelia, but I knew it probably wasn’t the worst case of clutter, and I knew it wasn’t the best case. I really wanted to show the reality we were starting with. Thanks for stopping by! I totally agree Paula. I love organized, clean, bright spaces…but it’s not what I have, so we have to start with where we are and our reality. I hope you stick around for our continued progress. Thank you for your comment! Fantastic progress! You’ve done a lot of hard work. Keep it up! If you’re like me, it may go in waves… Don’t give up. I have to get back at it… Our clutter seems to have surged ahead. Thank you for your encouragement Kady! We’re in a planning phase for the basement, not too active in decluttering, but we’ll get going again soon. Good luck on your project!